Tangrowth in game: 235 Who? Important notice! Pokemon Tangrowth is a fictional character of humans. Tangrowth (Japanese: ????? Mojumbo) is a Grass-type Pokémon introduced in Generation IV. 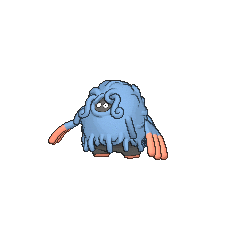 It evolves from Tangela when leveled up while knowing Ancient Power. Tangrowth is a large Pokémon with a black body wrapped in blue vines. The vines are used to entangle foes and prey. A pair of saucer-like eyes peeks out from beneath the tangled mess of vines. However, these eyes may be hidden in warm seasons due to how profusely the vines grow. Its stubby black feet are tipped with red. 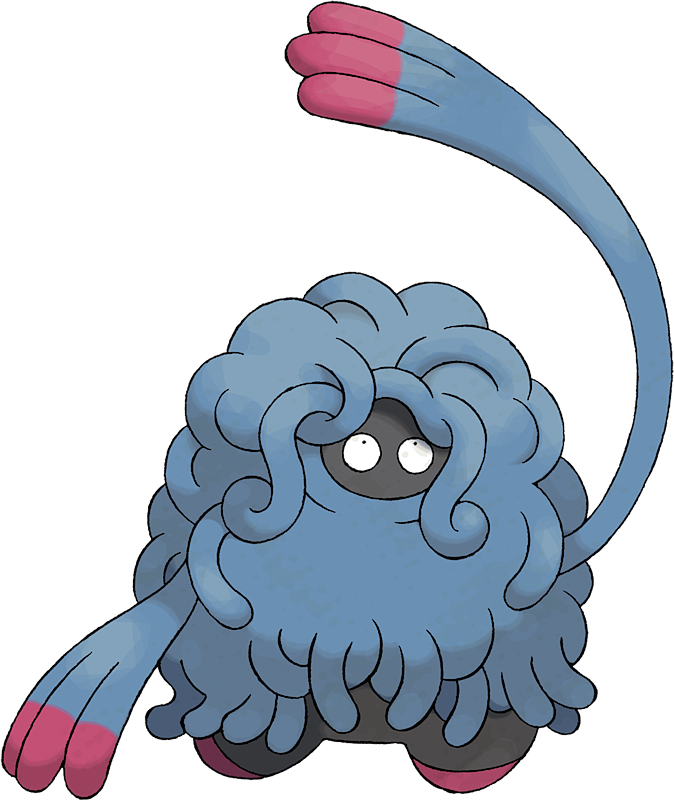 Tangrowth has a pair of blue boneless arms that have three fingers. These fingers are completely red on a female Tangrowth, while they have red tips on a male. Tangrowth is unfazed if one of its arms is broken off, as it will easily grow back. Tangrowth made its debut anime appearance in Promoting Healthy Tangrowth!. A Tangrowth makes an appearance in Zoroark: Master of Illusions, under the ownership of Tammy. 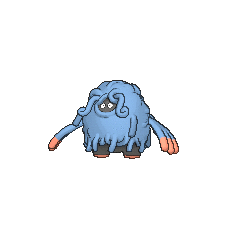 Tangrowth made its debut in The Rise of Darkrai where it had a minor role. A Trainer's Tangrowth briefly appeared in Working on a Right Move!, in which it defeated another Trainer's Hippowdon in the Lily of the Valley Conference. DP134 Tangrowth Dawn's Pokédex Tangrowth, the Vine Pokémon. Tangrowth captures its prey by extending its arms, which are made of vines. Hiori has a Tangrowth who debuted in Challenge From A Rival. Its vines can be used as ropes to lower Hiori and others down from roofs. It can also use Sleep Powder to help Hiori get by guards. Jupiter attacked Platinum, Candice, and Maylene using her Tangrowth, Sableye, and Gastrodon when they arrived in Lake Acuity. Most notably, it faced off against Candice's Abomasnow, and was able to overpower and defeat it using a Fire-typed Natural Gift. In subsequent appearances, Jupiter's Tangrowth used only Natural Gift, and its strategy was easily worked around. It ensnares prey by extending arms made of vines. Losing arms to predators does not trouble it. When it remains still, it appears to be a large shrub. Unsuspecting prey that wander near get ensnared by its vines. Its vines grow so profusely that, in the warm season, you can't even see its eyes. Even if one of its arms is eaten, it's fine. The Pokémon regenerates quickly and will go right back to normal. Moves marked with a superscript game abbreviation can only be bred onto Tangrowth in that game. It launches a poison powder to attack. Tangrowth is the Attraction Chief of Tangrowth's Swing Along, which you'll find in the garden at the Haunted Zone. 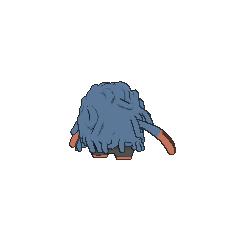 For other sprites and images, please see Tangrowth images on the Bulbagarden Archives. Until the release of Pokémon Platinum, the only way to obtain Tangrowth was to transfer a Tangela via Pal Park and evolve it. This was the only case in which a Generation IV Pokémon was only obtainable through Pal Park, though Gliscor, Magmortar, and Electivire were obtainable only by use of dual-slot mode to catch their unevolved forms before Platinum. It is based on vines. 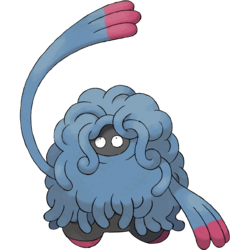 Considering Tangrowth's shaggy appearance, Tangrowth may be based on an exaggerated concept of a shaggy caveman. It may also be based on a Green Man, a motif that is represented as a face surrounded by leaves and vines. Its appearance and behavior also match that of the Bornean orangutan and Sumatran orangutan. Tangrowth is a combination of tangle and growth. Mojumbo is a combination of ?????? mojamoja (shaggy or unkempt) and jumbo (referring to its size).